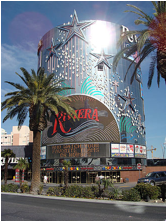 The Riviera opened on April 20, 1955 as the first high-rise and the ninth resort on the Las Vegas Strip. On May 4th, this historic Las Vegas will close its doors forever. While stale and old today, anyone that has been to Las Vegas will miss this classic. And, if you’ve never had the chance to go to the Riviera yourself, you’ve been there many times, you just don’t know it. Here is a list of movies that were filmed in the Rivera over the years. Ocean's Eleven (1960) – The Best One! Goodbye old gal and thanks for the memories. Even though they were stinky ones! It’s time to elevate your gaming and soar to $3.9 Million! For all of our seasoned members, we all know that the Beach Life progressive slot is getting into the stratosphere and can be won at any moment. Go get it and fly off on your private jet tomorrow!